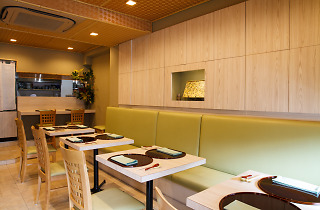 Shinya Yamamoto believes that a restaurant’s location must match its owner’s ambition, so his choice to forego trendier locales in favour of opening an upscale Chinese-Japanese fusion joint in Arakicho may raise eyebrows. 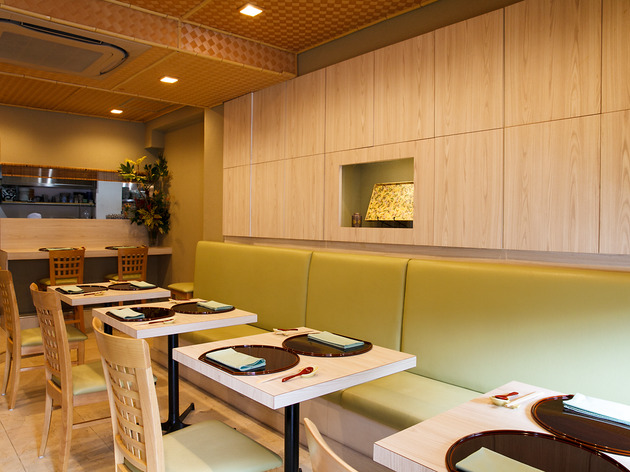 But there’s a method behind the madness: a battleground where over 300 eateries vie for the hearts and stomachs of mainly older salarymen, this Shinjuku 'hood is perfect for really testing a chef's mettle. 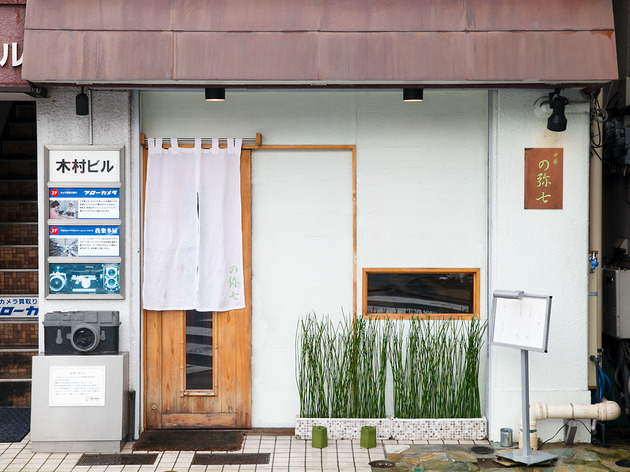 Yamamoto’s dishes are best paired with sake from his well-stocked supply of alcoholic delights; with drinking and business often being synonymous, it’s a dynamic combination. The dinner menu is an alluring contrast to the more standard lunch list. 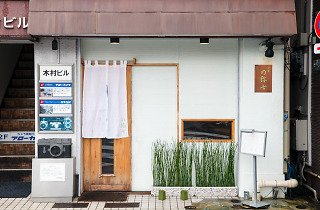 While the midday offerings feature familiar dishes like yu lin chi (fried chicken with sweet and sour sauce), if you stop by later in the evening you’ll find only two choices printed on a simple sheet of paper displayed outside the entrance: omakase (chef's selection) for ¥9,000 or ¥12,000. 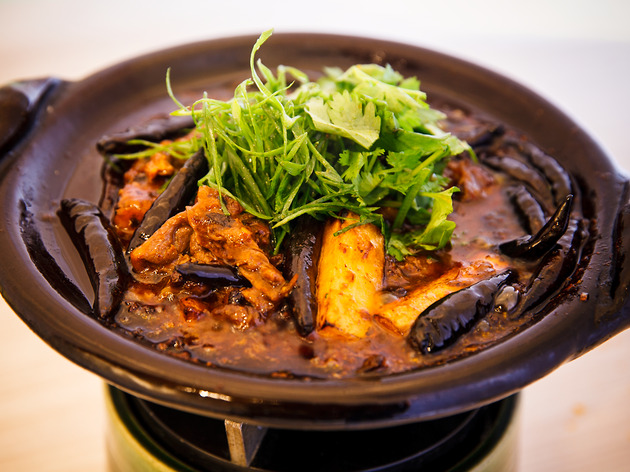 A peek into these luxurious spreads reveals two dishes from Sichuan and Fujian provinces. 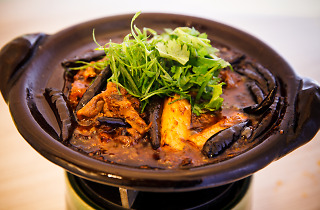 Shuizhu is a spirited soup bursting with rich flavours of sesame oil and Chinese peppers. It’s loaded with cuts of beef, fresh daikon and burdock root to produce a robust effect that doesn’t overwhelm the taste buds. The second highlight is Yamamoto’s interpretation of the aptly named Buddha’s Temptation, a healthy siren song designed to seduce even the most steadfast vegetarian monks. 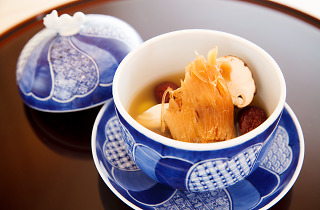 This soup is a harmonious combination that includes seasonal matsutake mushrooms, gingko nuts, shark fin and beef tendon. 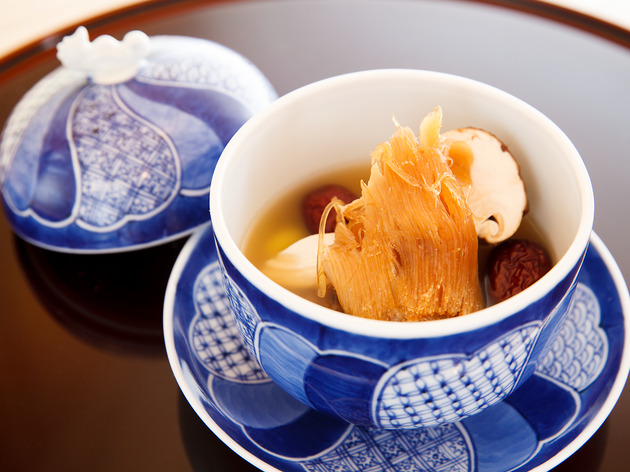 Originally intended to be shared amongst large groups, Noyashichi has opted to split it into individual servings without compromising the wealth of ingredients.